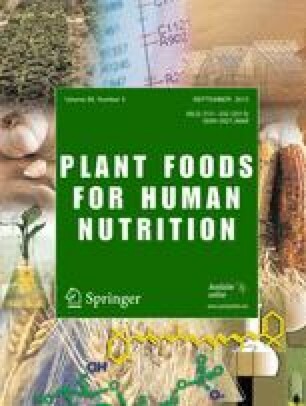 Digestibility of fiber components namely neutral detergent fiber (total content of cellwall) cellulose, hemicellulose and lignin are estimated in 14 healthy vegetarian men during adlibitum feeding and at 3 energy levels namely 2526, 2868 and 3290 kcals/day. Values of digestibility for adlibitum experiments were 34.17±2.3 for neutral detergent fiber (NDF), 30.1±3.9 for cellulose and 53.4±3.0 for hemicellulose and 8.1±2.6 for lignin. There was a considerable variability in digestibility of fiber components between individuals.